A fully adjustable thigh holster, with magazine pouch. For left hand operators. The rigid height adjustable strap with side release buckle, lets you place the holster exactly in the ideal position on the left leg, for a fast draw. 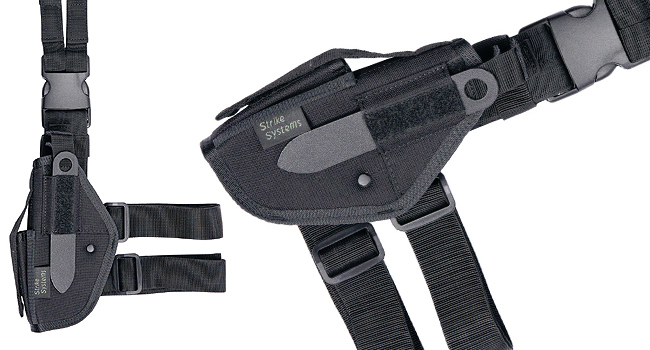 Double retention strap keeps the gun securely in the holster during the most rigorous activities. The side release buckles lets you take it on or off quickly.